Here at Dayle Bayliss Associates LLP we work with clients to help realise their aspirations for their businesses and construction projects. The wealth of experience gained from the variety of projects that we have been involved in and the range of projects executed, including listed buildings, with the National Trust, Educational Establishments as well as private clients, allows our services to meet your individual needs. Our innovative approach allows us to look more strategic at the needs of your project. We understand the challenges of running a business and look to see how your proposed project can work with the business to assist with wider issues. Whether these are operational issues or addressing wellbeing and employee engagement, we look to see what opportunities can be utilised within the project. We work in community projects to look at skills and innovation, bringing together our stakeholder contacts to look at opportunities. Our there ways of doing things differently to achieve new results? Can we improve engagement and work in a way that really delivers positive outcomes? Can existing initiatives be bought into the project or can we challenge the norm to improve and innovate. We collaborate with stakeholders to engage them in the approach and deliver results, but we do this as part of a team to change but also enhance the outcomes. 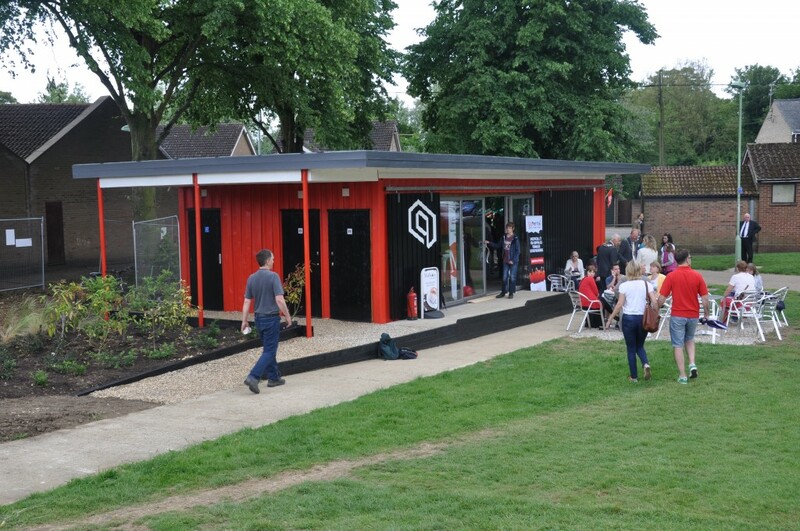 Whether its the conversion of an existing building or converting two shipping containers to a cafe our technical knowledge, combined with these consultancy skills deliver something that is quite unique and exciting. Take a look at our Intrepreneur and Gamification blogs to explore the consultancy work and ideas we explore. Through our design processes we are able to fully detail up your project and deal with all stages of the construction process from feasibility through to completion. This includes dealing with Planning Applications, construction details for Building Regulations, specifications and programmes. Our extensive knowledge of construction types and the Building Regulations allows us to consider all aspects of a project at the initial stages to give an informed approach to the solutions proposed. This is of particular benefit for our Heritage work, where the design and construction approach is conservation led to give deliverable outcomes and informed decisions. The expertise of working within a consultancy environment allows the team to pull together a range of disciplines to achieve the rewards of a successful project. The management skills co-ordinate all aspects of a construction project team and the specialist skills required with each individual construction project. Our established relationships co-ordinate Architects, Designers, Structural Engineers, Mechanical and Electrical Engineers and specialist consultants. With the experience of working on all sides of the construction team we our able to advise on contractor appointment to ensure that the right team is coordinated to realise the goals of any project. We work with our clients to understand all aspects of their project and business needs to deliver schemes that fit in with these wider needs. Our commitment to maintaining our built heritage has seen Dayle working on a range of Listed Buildings and Heritage Schemes. It is this experience that has seen Dayle project manage a refurbishment of a Grade I listed building on Pall Mall, London, design and project manage a Grade II* National Trust property in Suffolk as well as studies into Facilities Management of Heritage Buildings, a study into the introduction of insulation into the roofs of heritage buildings and the implementation of the English Heritage Guidance on Enabling Development. All members of our team understand the need to take a conservation led approach to our projects and use this to make informed decisions and deliver a scheme that achieves the clients requirements.